Zanasi & Partners | Zanasi, A. (1998). Competitive intelligence through data mining public sources. Zanasi & Partners / Publications / Articles / Zanasi, A. (1998). 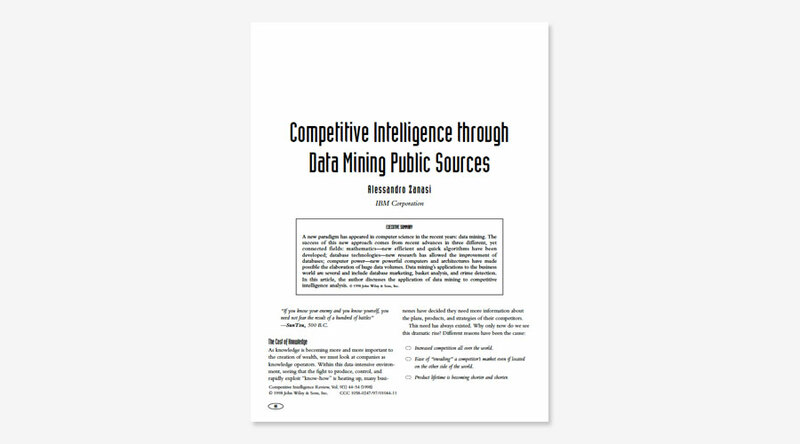 Competitive intelligence through data mining public sources. Zanasi, A. (1998). Competitive intelligence through data mining public sources. Competitive Intelligence Review, 9(1), 44–54.